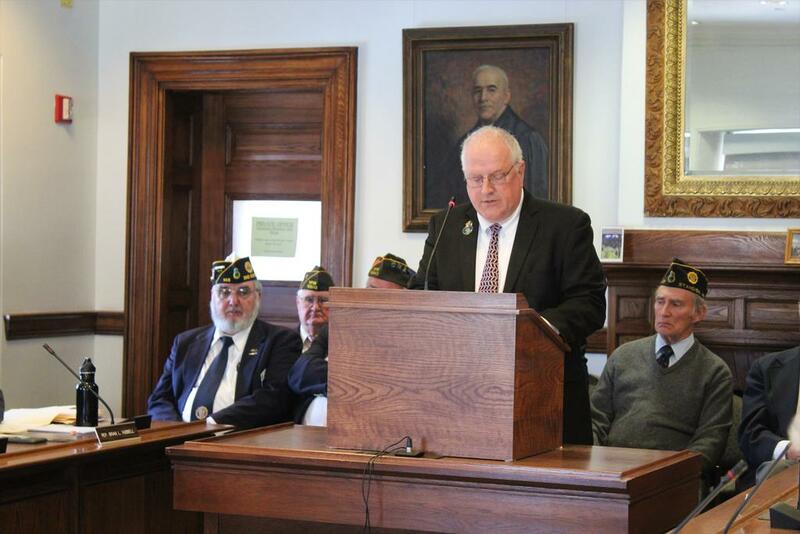 Veterans from American Legion Kenison-Hooper Post 128 in Standish were in attendance Monday, Feb. 4, when Rep. Mark Bryant, D-Windham, testified at the Veterans and Legal Affairs Committee at the State House. Bryant is sponsoring a bill to make veterans organizations exempt from obtaining a commercial beano hall permit when renting out facilities to organizations already registered to conduct beano or bingo games. Many veterans organizations, including Kenison-Hooper Post 128, rely on beano games in order to fundraise for charities and local events commemorating Memorial Day and Veterans Day. Standish Recreation will host a vacation camp, Feb. 19-22, for children in grades K-6. The camp, themed “Jurassic World,” will run from 7 a.m. to 6 p.m. each day and will feature activities such as bowling, swimming, skating and more. The cost is $125 per student if registered before Feb. 10. After Feb. 10, registration, space permitting, will be $135. For more information and to register, visit standishrec.com/info/activities. Active Seniors of Standish will meet at 11 a.m. Wednesday, Feb. 20, and will have lunch at noon. All seniors from the community are welcome. Lunch reservations must be made before Feb. 14 by calling Donna Grovo at 675-3302. The meeting and lunch is held at the Standish Municipal Center. The Standish Recreation Department is hosting a lunch trip for seniors from 11 a.m. to 1:30 p.m. Tuesday, Feb. 26, to a surprise restaurant in greater Portland. The cost is $5, with lunch not included. For more information, visit standishrec.com/info/activities. Saint Joseph’s College will host “Introduction to Centering Prayer” at 9 a.m. Saturday, Feb. 23. Centering Prayer is a practice of meditation to deepen spirituality. Presenter Kathy Tosney will teach attendees how to experience it for themselves. To RSVP, email cfs@sjcme.edu by Feb. 20. If any mobility assistance is needed, include the information in the RSVP email. Rep. Mark Bryant, D-Windham, testifies on a beano licensing bill that would be beneficial to the veterans of the American Legion Kenison-Hooper Post 128 of Standish. At left is David Tanguay, adjutant of Field-Allen Post 148 in Windham, and at right, Post 128 Adjutant Lou Stack.